Minitruckers The Lifestyle video was debuted at the OC Car and Truck Show 2017 on June 10th, 2017. A couple of months before the car show, Jeff Wooten of East Coast Minis reached out to me to ask if I / we were interested in putting together a video for OC. For the first time ever, the OC Car and Truck Show was hosting a Car Culture Film Festival where several videographers from the area were invited to display their video. Inside of the Performing Arts Center within the Convention Center on Saturday at 7PM is where it went down. Knowing the other presenters and their style, I knew I had to stand out on my own and put together something memorable. 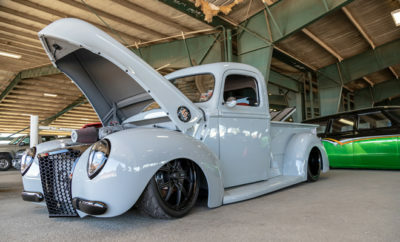 In my attempt to do that, I wanted to give the industry a glimpse into the minitruck lifestyle by interviewing long-time minitruckers and also feature minitruck builds. That’s where the Minitruckers – The Lifestyle video was born. Just over 17 minutes long, I wanted to capture the story and also honor East Coast Minis and their member Chris Gibson who passed away 4 years ago battling cancer. ECM was gracious enough to give me this opportunity to present our work and also help get our feet wet into the video scene. It was only right to represent them and also dedicate the video to Chris Gibson and his family. The majority of the video was filmed in Delmar, DE. at the 3rd Wave Brewing Co. The intro of the video included clips from Carlisle – All Truck Nationals, Lone Star Throwdown ’17 and Low Rollers End of Summer Bash ’16. Please subscribe to the CarShowz YouTube Channel here.